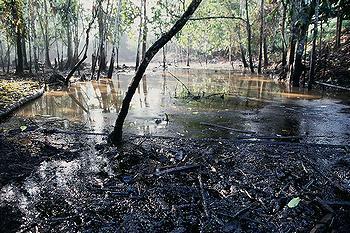 NEW YORK, New York, March 7, 2011 (ENS) – In a New York courtroom today, oil giant Chevron Corp. won a halt to enforcement of an $18 billion judgment for oil pollution of the Ecuadorian Amazon imposed by a court in Ecuador. 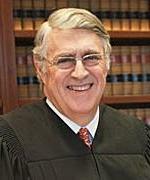 Granting Chevron’s request for a preliminary injunction, U.S. District Judge Lewis Kaplan ruled in Manhattan that Chevron faced “imminent” and “irreparable” harm to its reputation and business relationships. The judge ruled that the judgment won by Ecuadorean indigenous plaintiffs could not be enforced until Chevron’s racketeering case against the Ecuadoreans and their lawyers is decided. On February 1, Chevron sued the Ecuadorian plaintiffs in U.S. District Court in New York, accusing them of fraud, interfering with contracts, trespass, unjust enrichment, and conspiracy. Chevron levied even more serious charges against their main U.S. lawyer Steven Donziger, expert witnesses and affiliated organizations, accusing them of racketeering. “It also ignores key evidence that Chevron has committed a series of frauds in Ecuador to cover up its unlawful misconduct,” she said. 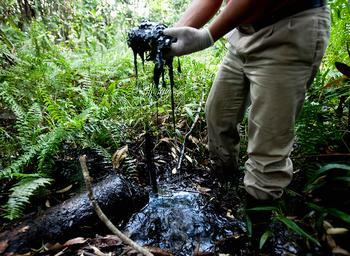 Judge Kaplan recognized that the damages from the court in Lago Agrio, Ecuador have more than doubled from original $8.6 billion judgment because Chevron has not made the public apology required by Judge Zambrano’s ruling, and 10 percent of the original judgment has been awarded to the Amazon Defense Coalition. Even so, the Ecuadorean plaintiffs have appealed Judge Zambrano’s ruling, arguing that the award is not large enough to clean up the billions of gallons of toxic waste dumped by the oil company. Chevron argues that Texaco cleaned up all the contaminated sites before turning the land over to the government of Ecuador. This legal action began in 1993, when the Ecuadorean plaintiffs filed a class action lawsuit in U.S. District Court in New York against Texaco, since purchased by Chevron. The class action complaint was filed on behalf of 30,000 inhabitants of the Oriente region of Ecuador seeking compensation for environmental and personal injury from oil contamination in the rainforest from 30 years of oil extraction. The lawsuit accuses Texaco of deliberately and unlawfully discharging more than 18 billion gallons of toxic waste into Amazon waterways, decimating indigenous groups and poisoning an area the size of Rhode Island. Nine years later, at Chevron’s request, that litigation was dismissed and transferred to the courts of Ecuador, where Judge Zambrano issued a judgment against Chevron on February 14, 2011. Kaplan ordered Chevron to post a $21.8 million bond or deposit that amount with the court to ensure payment of any damages caused by the delay in enforcement of the judgment, if his injunction does not stand. The Ecuadoreans, acting as defendants in Chevron’s racketeering lawsuit, today filed a 42-page sworn affidavit, backed by hundreds of pages of exhibits, outlining in detail Chevron’s 18-year effort to undermine the Ecuadorean court in Lago Agrio. Chevron has removed all assets from Ecuador and has claimed it will not pay the judgment, even though it had promised U.S. courts it would abide by the Ecuador court’s decision as a condition of the case being transferred to Ecuador.